Unity is the default Desktop environment of Ubuntu 12.04 – Precise Pangolin, LTS (from the last few versions, before that GNOME was the default desktop). 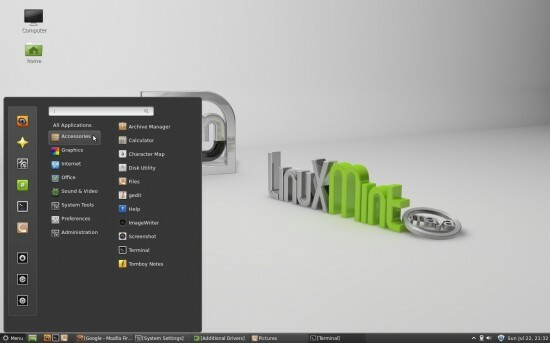 On the other hand, Cinnamon is the Default Desktop Environment of Linux Mint 13 (Maya) Cinnamon Edition (Linux Mint 13 also comes with other Desktop Environment such as MATE, KDE, XFCE etc). Although, both Unity and Cinnamon is based on GNOME 3 but Cinnamon is more closer as it also uses Gnome Shell as its core. Cinnamon and Unity, both of the Desktop is available independently, so any one can try it in any other (supported) Linux distributions such as Fedora, Debian etc. Cinnamon is gaining more popularity because it’s GNOME 3 – with the feel and experience of GNOME 2. So most people, using GNOME 2 from years feel more comfortable with Cinnamon Desktop. Unity has also improved – but it’s certainly not so easy as Cinnamon, specially for Linux beginners. Both are based on GNOME 3 so you can easily customize using some simple tools like Gnome Tweak Tool. Cinnamon is more easily customizable because of the cool applications available such as Cinnamon Settings; you can customize a lot of things such as Themes, Panel, Fonts, Desktop/Window Effects, Extension etc in few clicks. You can also customize your panel (very similar to GNOME 2), using Panel Edit Mode. Unity does have some simple tweak tool such as MyUnity but it doesn’t provide so many options, in such a user friendly way. Cinnamon entered into the market when users were looking for an alternative to Unity and Gnome Shell. So Cinnamon is a relatively new project as compare to Unity. Both have bugs – Cinnamon freezes sometimes while Unity panel behaves strangely (sometimes I can’t find the active apps on panel). After the continuous development cycles, Unity seems to be little more stable (in Ubuntu 12.04) and mature Desktop environment as compare to Cinnamon. Cinnamon follows the conventional style layout so obviously the users (specially the GNOME 2 users) feels more comfortable with Cinnamon. It is like a GNOME shell desktop with GNOME 2 style windows, panels and more. Expo view allows users to manage work-spaces in much easier way. Unity can also be made productive if you use the shortcuts and new features such as HUD, But Cinnamon does that by being more simple! Now, VOTE for your favorite Desktop Environment and explain the reason with a comment! Unity has more features like HUD, document search functions and the lens function so I’d say Unity is better. Cinnamon is great however and I’d recommend it to anyone who is coming from a Windows environment. Unity is better on a laptop because of the additional desktop reality provided by the merger of the top panel with the application title bar. Cinnamon – if it did not freeze so often – is easier to work with because you can switch more easily between open windows of an application or applications. The freezing problem with Cinnamon, however, is serious, not a minor problem. Unity is far more stable. So, for now, Unity is far superior. Try CInnamon 1.5. It doesn’t freeze for me. You can download it though the system updates. I think this post it’s too much in favor of Cinnamon. Unity has a lot of great features.